The most-anticipated and ​long-awaited NBA trade in recent memory has finally gone down. 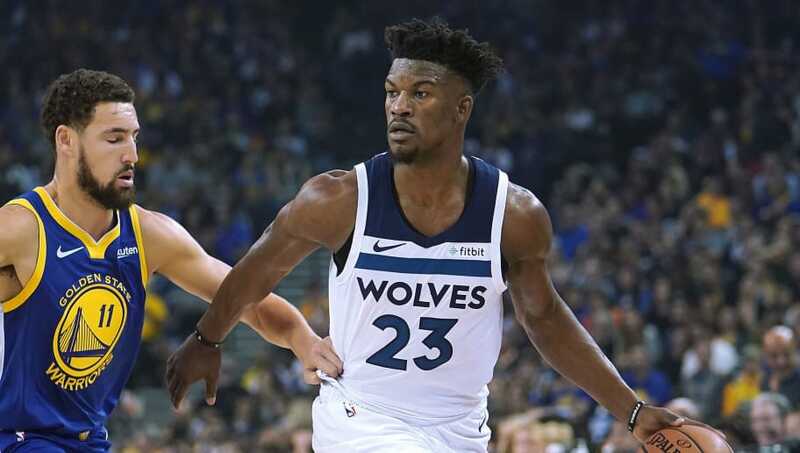 According to multiple reports, Timberwolves All-Star Jimmy Butler has been traded to the Philadelphia 76ers in exchange for Dario Saric, Robert Covington, Jerryd Bayless and a 2022 second-round draft pick. Justin Patton will also head to Philadelphia in the trade. The addition of Butler instantly shoots the Sixers to the top of the contender's list in the Eastern Conference, along with the Boston Celtics, Toronto Raptors and Milwaukee Bucks. The Timberwolves get a pretty good haul, considering how little leverage they had in the negotiating. Two starters and a draft pick is about as much as they could have hoped for. The Sixers have +2300 odds to win the NBA title and +750 to win the Atlantic Division, according to FanDuel Sportsbook as of 1:15 p.m. EST on Saturday. You can fully expect those odds to shift as physicals are completed and this deal is finalized. ​But if you really think this move is what Philadelphia needed to be true contenders and finally complete the process, then there's no better time than now to jump on these odds and make a bet on the Sixers.